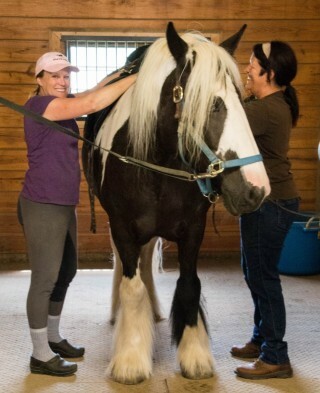 Christine came to the farm 11 years ago with her husband to help him heal from a traumatic brain injury. Her parents were volunteers at the time and they urged her to come. But this was just the beginning. 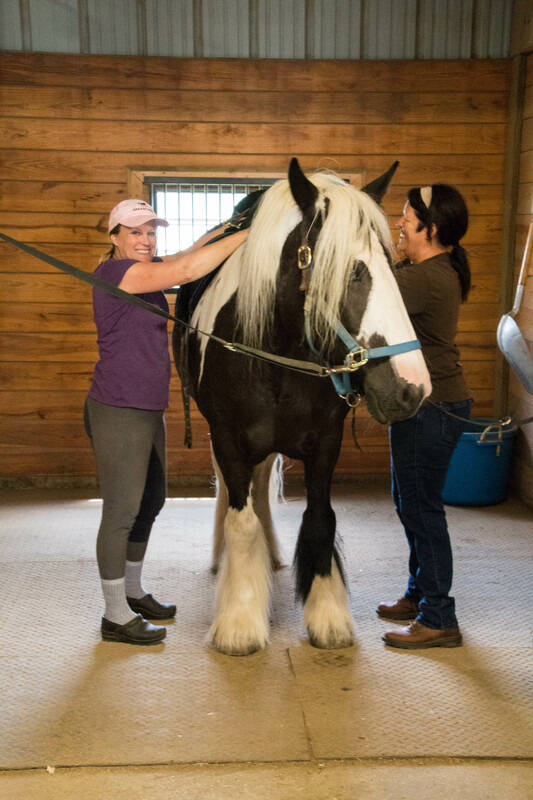 A year after Paul started in the carriage driving program, she starting riding to help manage her own multiple sclerosis. “I remember sobbing when I got off,” she said remembering how good it felt and how kind everyone was. Since that time, Christine has become one of our most active volunteers and board members. She is driven to help Fieldstone Farm because it has meant so much to her and her family. She wants to help others feel the support she has felt over the years. Christine is pictured above with her good friend and longtime volunteer, Tammie Packer.